Where does your ice cream come from? Print Where does your ice cream come from? 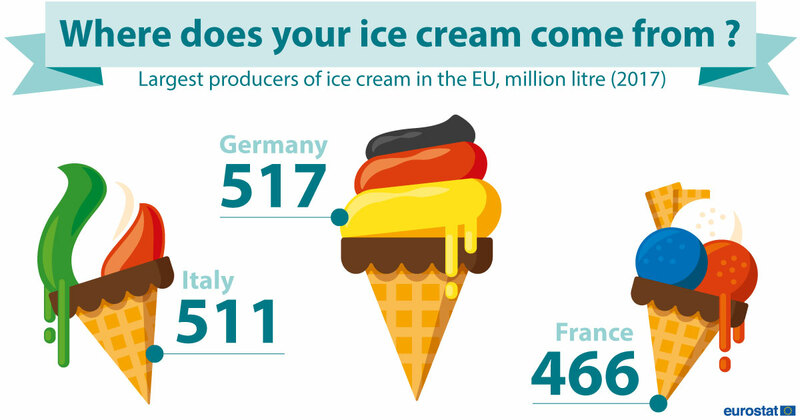 Germany was the largest producer of ice cream in the EU (517 million liter or 16.5 % of the EU28 total production) in 2017, followed by Italy (511 mio. or 16.3 %) and France (466 mio. or 14.8%).